The MPA program is committed to developing and preparing individuals employed in or seeking careers in the public and nonprofit sectors, to lead and manage public agencies, programs, and projects. Taking advantage of the location in the South Texas border region, we provide the requisite knowledge, skills, and abilities needed for leadership and management roles in a culturally diverse international society. Through commitment to innovative teaching, research, and community engagement, we emphasize excellence in education and training by teaching students to value public service, think analytically and critically, and communicate effectively. The MPA degree has been in existence since 2001 and is especially beneficial for mid-career professionals who wish to enhance their professional knowledge and skills. It is also the degree of choice for those who desire employment in the public and nonprofit sectors. The MPA program is entirely online (with the exception of the Project/Internship requirement) and consists of 42 hours of graduate credit coursework. Thirty-three (33) hours constitute the core curriculum, with nine (9) hours of electives. The MPA does not have a minor, so graduate students are encouraged to take electives that fit with their professional interests, rather than an ad-hoc selection. Any 5000-level graduate course offered at this institution, to include Special Topics, may be used to fulfill the electives requirement. 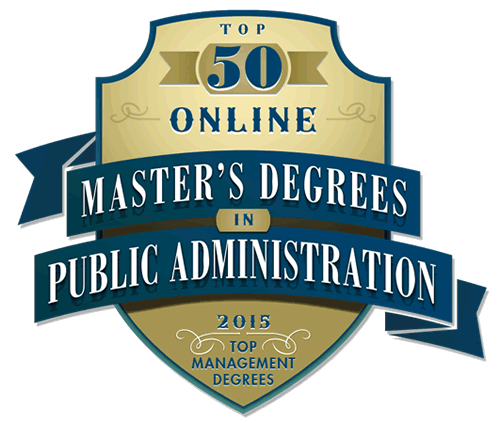 The MPA program also offers a Certificate in Nonprofit Leadership & Management (CNLM). The CNLM consists of 12 hours. Students interested in the nonprofit area can use certificate courses as electives. Students are highly encouraged to take the extra course and graduate with both the MPA and the Certificate. For more information click in the link above or contact Dr. Timothy Dolan at timothy.dolan@tamiu.edu or call at 956.326.2475. Admissions by the Office of Graduate Studies (to include a personal interview by MPA faculty). The GRE is no longer required for admission. Select three faculty members to serve on your Advisory Committee. Completion of 42 hours of graduate work. Follow your Plan of Study. Maintain an overall GPA of 3.0; only one ‘C’ is allowed. New graduate students should enroll first in PADM 5375 (Survey of Public Administration) and PADM 5301 (Research Methods in Social Sciences). These two courses are prerequisites for most of the other courses in the program. The Two-Year Plan provides information about the schedule of course offerings. It is important that students plan accordingly to ensure that required classes are taken as they become available. Students in the MPA program must remain continuously enrolled in the University while in the program. This means that students must take at least one class each regular semester (Fall/Spring) until graduation unless special arrangements have been made. A student who is making satisfactory progress (3.0 GPA), but is unable to continue taking classes, must fill out a Leave of Absence form, subject to approval by the Office of Graduate Studies. http://www.tamiu.edu/gradschool/documents/LeaveofAbsenceForm.pdf. Students who do not receive approval for a leave of absence will be dismissed from the MPA program and will have to re-apply for admission. It is important to know that graduate courses expire five years after completion. Consequently, graduate students have five years in which to complete the required coursework. All expired courses must be repeated in order to satisfy the degree requirements.